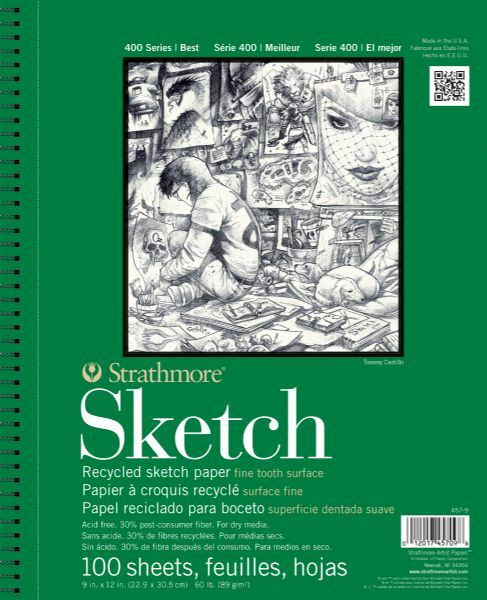 The most popular sketch pad from Stratchmore, the 400 recycled series is a 100 sheet spiral bound pad made up of acid free that 30% post consumer fiber recycled. The heavyweight fine tooth surface sketch paper is ideal for experimentation, perfecting techniques and preliminary drawing with any dry media. 11 points will be rewarded when you are logged in to your account and buy this item.